The first AMD Ryzen samples have been sent out to reviewers and some have even started testing these chips under extreme cooling. 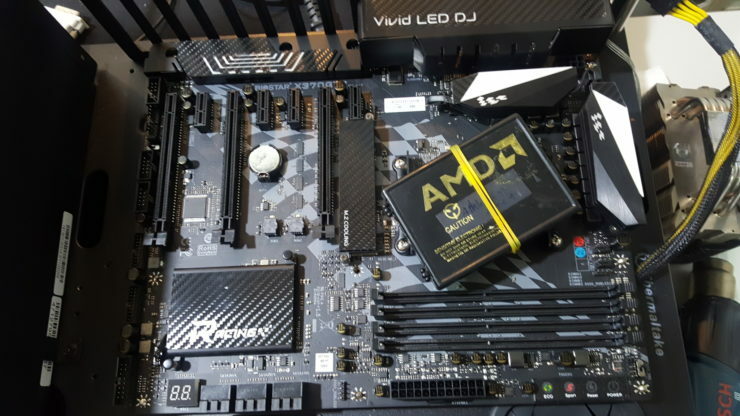 Our first report comes from HWBattle who have acquired an AMD Ryzen processor and an AM4 socket motherboard based on the X370 chipset. AMD Ryzen processors will be officially launching on 2nd March. The latest pictures by HWBattle show that they had received a sample of the AMD Ryzen processor. 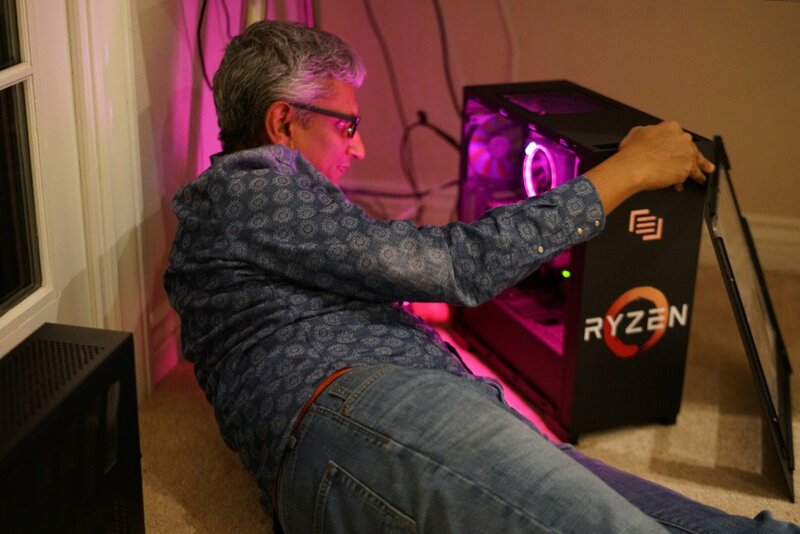 We don’t know which model is being used here but it comes in the same box package that AMD has been sending out to reviewers since the Bulldozer days. The chip was tested on a BIOSTAR Racing X370 GT7 motherboard which is a top notch product featuring the AM4 socket. While the first picture doesn’t show much, it’s the second that will make things interesting. The second picture shows the whole test rig in operational mode. The Windows logo can be seen booting up and if you look closely enough, you will see that the CPU is running under LN2 cooling. A multimeter shows temperatures of -29C and the site reports that the new samples come with the cold bug fixed. 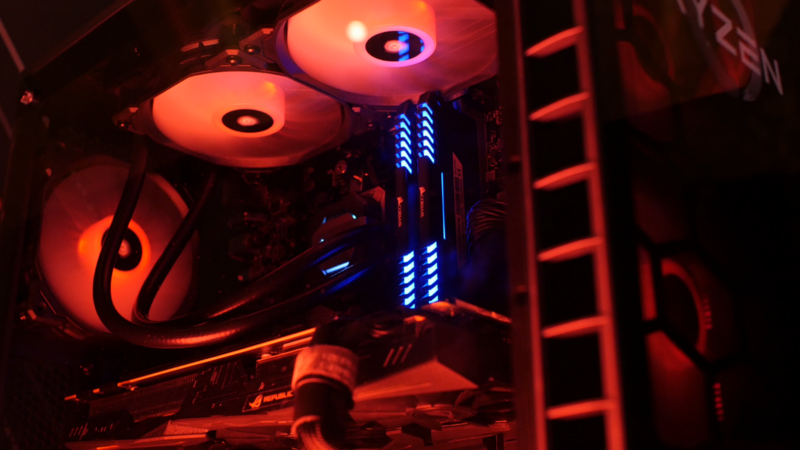 While AMD hasn’t shown us any demos of Ryzen chips overclocking, extreme overclockers know that AMD chips have had a few cold bug issues in the past and this is to double check whether any issues persist on the latest CPUs. There is no mention of what scores, clocks or performance was achieved during the testing session. From the looks of it, this was just a test run of the processor under LN2 cooling and we might see some more results from the folks at HWBattle in a few days. 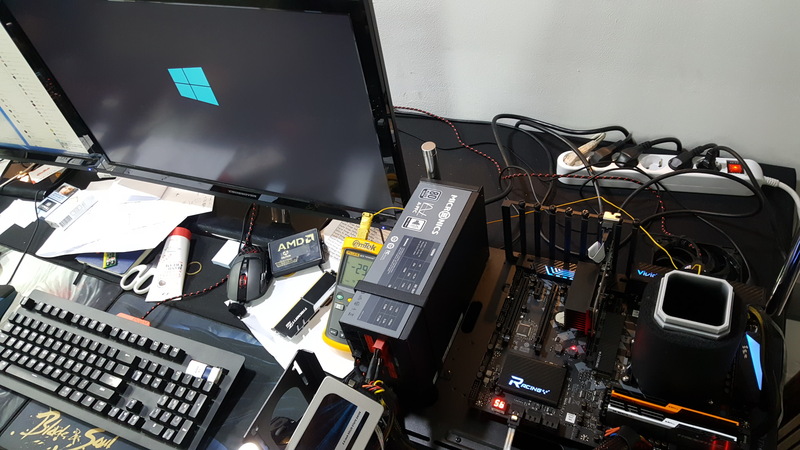 Videocardz has managed to obtain a rather interesting picture of what seems to be a dedicated overclocking utility for AMD Ryzen processors. 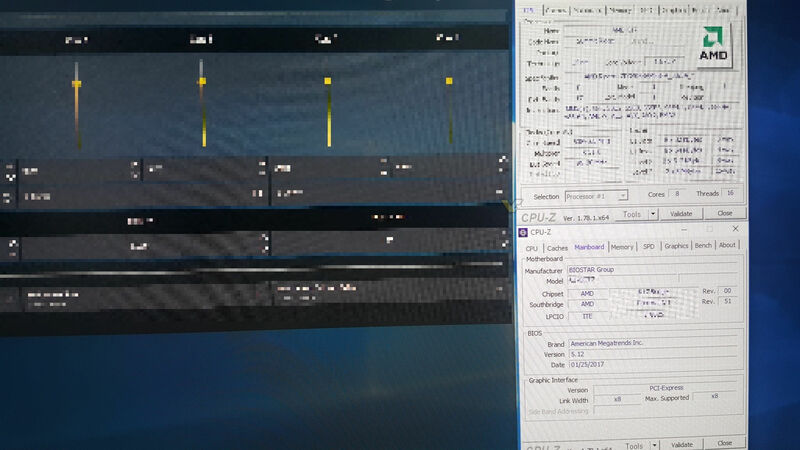 The screenshot above shows that the system is running an 8 core, 16 thread Ryzen chip and the overclocking utility can be seen next to CPU-Z. We can see that the utility allows control of clock speeds for individual cores and there are tons of other features that we can expect in regards to overclocking. Our sources have told us that AMD has planned a secret event known as the “AMD Ryzen Day” where they will be briefing journalists about Ryzen processors. AMD will also be handing out Ryzen and AM4 motherboard units to reviewers who will be invited at the event. The event will be held in a few days and all major Ryzen CPU dev teams will be at the event to share key information about the Zen architecture that is incorporated in the CPUs along with Ryzen lineup specific details. This will allow journalists to gather details on the core, clock specs on all Ryzen SKUs that will be available at launch. We were also told that while some tech sites have received Ryzen samples, they are not officially from AMD themselves but rather their local PR teams working in different regions. Due to miscommunication, most tech sites have acquired these samples before they were supposed to and as such, we are looking at multiple sites posting pictures of these samples on the net. The AMD Ryzen 7 range will feature the fastest “X” variant in the lineup. This processor will be known as the AMD 7 1800X and will feature 8 cores and 16 threads. This model is expected to operate at base clocks of 3.6 GHz and boost clocks of 4.0 GHz. 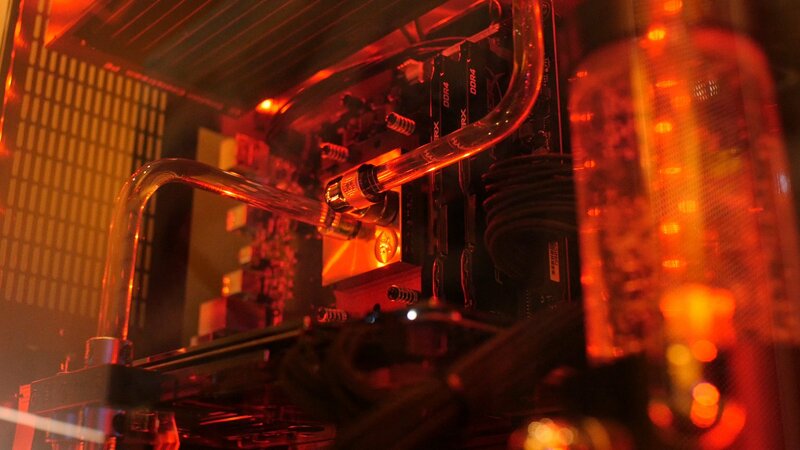 The performance of this processor should be on par with Intel’s Core i7 6900K. Other details include an L2 + L3 cache of 20 MB (4 MB + 16 MB) and a TDP of 95W. The chip will have enthusiast level pricing so expect something around $499. The rest of the processors in the Ryzen 7 family are also 8 core and 16 threaded variants. The Ryzen 7 series has clock speeds ranging from 3.0 GHz up to 3.6 GHz. The processors include Ryzen 7 PRO 1800, Ryzen 7 1700X, Ryzen 7 1700 and Ryzen 7 PRO 1700. Benchmarks of the 1700X performing next to Intel’s HEDT lineup can be seen here. Next in the lineup is the AMD Ryzen 6 series which will be a mix of 6 core and 4 core models with SMT. The Ryzen 5 series will include the AMD Ryzen 5 1600X which is the fastest 6 core model. This model will have clocks configured at up to 3.3 GHz base and 3.7 GHz boost. The 1600X processor will feature a TDP of 95W. Rest of the lineup includes the Ryzen 5 PRO 1600, Ryzen 5 1500, Ryzen 5 PRO 1500, Ryzen 5 1400X, Ryzen 5 PRO 1400, Ryzen 5 1300 and the Ryzen 5 PRO 1300. The Ryzen 5 1400X will be the fastest 4 core, 8 thread chip. The clock speeds for the chip will be rated at 3.5 GHz base and 3.9 GHz boost. The Ryzen 5 1600X processor will tackle the Core i5 7600K, the Ryzen 5 PRO 1600 will tackle the Core i5 7600 (non-K) and the Ryzen 5 1500 will tackle the Core i5 7500 (non-K). The AMD Ryzen 5 1400X will compete against the Core i5 7400 (non-K) chip. Last in the lineup would be the Ryzen 3 series which are simple quad core models without SMT support. The Ryzen 3 series are the only models that don’t feature SMT support and will be the entry level models which will be designed to compete against the Intel Core i3 and Pentium series processors. 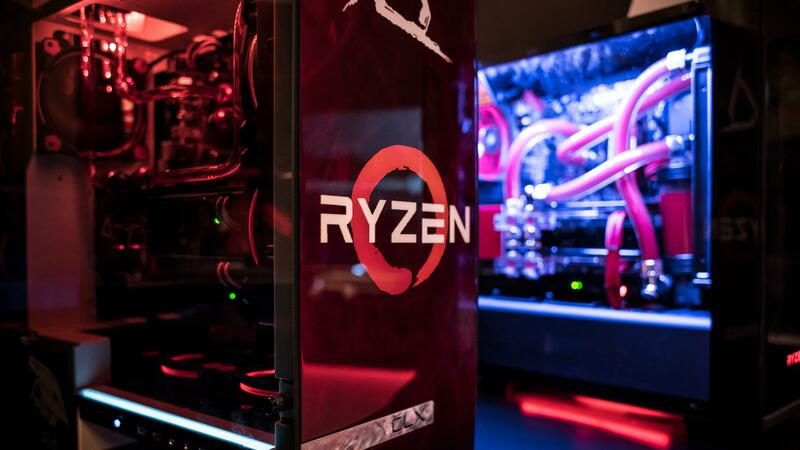 The fastest model in the lineup will be the AMD Ryzen 3 1200X which will feature 4 cores, 4 threads and a base clock of 3.4 GHz which may boost to 3.8 GHz. The rest of the lineup includes the AMD Ryzen 3 PRO 1200, AMD Ryzen 3 1100 and the Ryzen 3 PRO 1100. The frequencies of the Ryzen 3 series lineup will range between 3.1 GHz and 3.4 GHz (boost clocks). TDPs for these chips will be set at 65W.